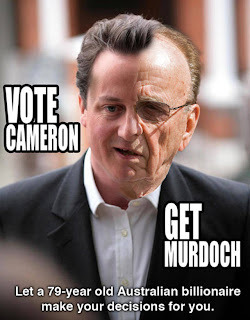 Via BoingBoing, this nifty image of Murdoch merged with Cameron. I suppose the image is in response to stories like this and this. If only enough Americans knew who Rupert Murdoch is (owner of Fox News and New York Post) for this to matter here in the States. 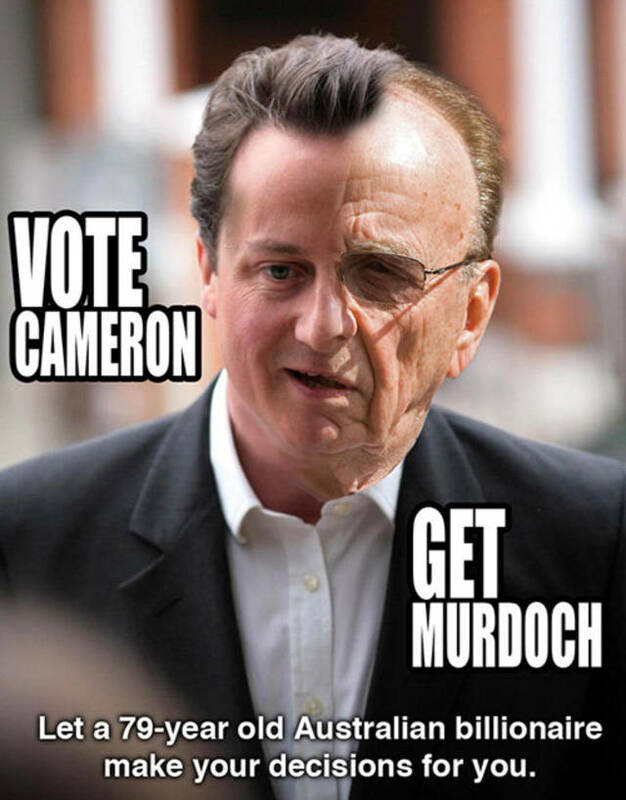 For what it's worth, Cameron's policies are largely to the left of anyone who could reasonably be expected to be President of the USA.